The programme for the new 2014 ICCHS research seminar series has now been announced. Starting in February and running through until June, topics will include cultural heritage protection, ethical dimensions of visitor-generated content, museum visitor profiling, curating historical exhibitions, and heritage as process. The seminars are open to all, and take place at ICCHS on Wednesday lunchtimes. A full list of dates, speakers and topics is provided on the Research Seminar page. Further details on the February event will be posted in January. ICCHS researchers Anna Goulding and Andrew Newman have been awarded a £40,000 Connected Communities follow-up grant to run four workshops exploring how creative interventions can help develop connectivity and resilience for older people. The workshops will critically reflect on the outcomes of a range of projects including community gardening, filmmaking, the built environment, product design, digital media, theatre, music, cultural learning and visual arts interventions for those with early stage dementia. Juxtaposing the results from these different projects will generate innovative ways of thinking about resilience and propose solutions to issues raised by community partners. Over the next few months, Equal Arts, the main community partner for the project, will recruit a group of older people to take a full part in the workshops. The workshops will be held from April to July 2014 at the Great North Museum, Newcastle upon Tyne. Invited speakers and attendees will write up their contributions for a new edited volume to be published by Newcastle University. The publication will contribute to current policy debates around the provision of public services. 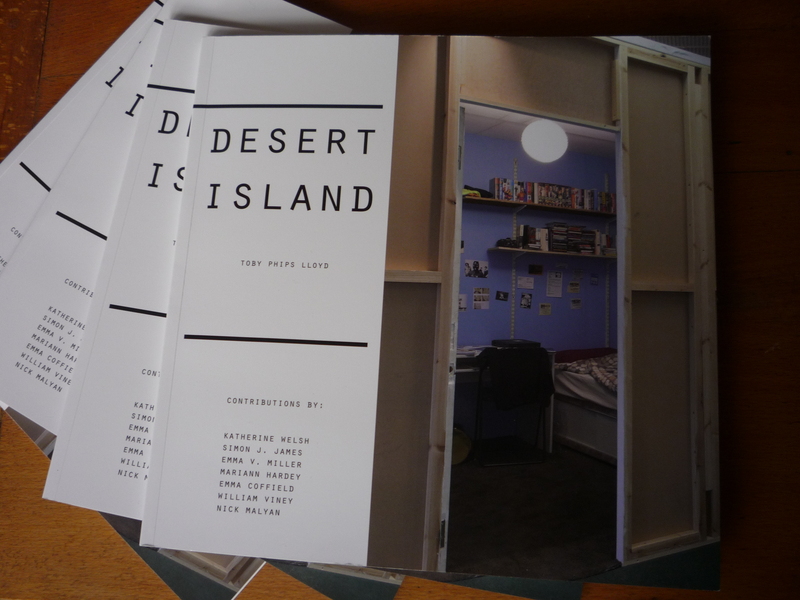 ICCHS PhD student Emma Coffield was recently asked to contribute a book chapter to Desert Island, a publication about the artist Toby Phips Lloyd’s mixed-media installation ‘Desert Island’ (2013) exhibited at Empty Shop, Durham earlier this year. Emma’s book chapter, ‘What Are You Doing Here? Identity Work and the Figure[s] of the Artist’ unpicks the varying artistic identities suggested by Lloyd throughout the work, from the artist-as-hero to the artist-as-trickster. Arguing that Lloyd tries on, and then rejects or undermines, each of these possible identities, Emma challenges the preconceptions that fix artists in time and space, and calls for new, more meaningful ways to be. Desert Island is published by The Institute of Advanced Study at Durham University. Alongside Emma, other contributors include: Katherine Welsh (Curator at Baltic Centre for Contemporary Art); Simon J James (Professor of Victorian Literature at the Department of English Studies, Durham University); Emma V Miller (Postdoctoral Tutor at Durham University); Mariann Hardey (Durham University Business School); William Viney (Postdoctoral Research Fellow in the Centre for Medical Humanities, Durham University); and Nick Malyan (Co-founder of Empty Shop CIC). Desert Island (ISBN 978-0-9561840-2 3). 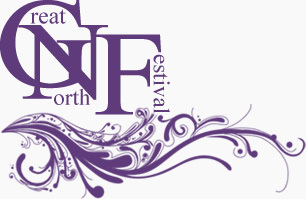 The Great North Festival (GNF) is a partnership organisation which worked with three major festivals which took place in North East England during 2013; the Lindisfarne Gospels in Durham (July 2 to October 2013), the Festival of the North East (June 2013) and the British Science Festival (September 2013). On 30 November, to mark the culmination of the Great North Festival, a debate took place entitled ‘Identity and Change’ at the Centre for Life, Newcastle. Joining the debate as one of the invited panel members, ICCHS PhD student Niki Black gave a presentation on aspects of her research relating to themes of identity and social connectivity within festivals. As Niki’s research focuses in particular on the smaller scale, community originated events, her presentation demonstrated an alternative perspective to those offered by her fellow panellists who represented the British Science Festival and the Lindisfarne Gospels. Discussion following the presentations focused on the impact of festive events in the North East region, both in economic and social terms. The potential for such events to provide identity and strength for an area was debated, particularly in the absence of a strategic funding organisation (following the demise of ONE North East). The day concluded with further discussion on the future of the GNF itself and how it might promote the strengths of the North East both within and beyond the region. The Great North Festival Debate continues into next year, with an evening event on 12 March 2014 entitled ‘Future North East’. Venue tbc. The Complex Project on transitions to a low carbon economy held a meeting at Laxenberg, near Vienna, hosted by its partners at IIASA (the International Institute of Applied Systems Analysis). In the course of the meeting, Nick Winder (Principal Research Associate at ICCHS and co-ordinator of the COMPLEX project) was interviewed by Uno Svedin (Stockholm University) about the project, the challenges it will address and one of its case-study regions, the Mãler Dahlen in Sweden. In the interview Nick Winder explains how cultural and natural life-support systems shape our responses to global climate change, and discusses the potential impact of the creation of a low carbon society on our local cultural landscapes.